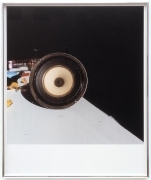 James Cohan Gallery is pleased to announce White Noise, a group exhibition featuring works that exist at the intersection of visual art, music and sound by artists of different generations. In the exhibition, there will be sounds to be looked at and objects to be heard. It will explore how sound can obliterate as well as elevate; how silence can involve both absence and presence. Music and sound have been important influences on the visual arts since the cultural and social upheavals of the early 1960s. With the advent of performance art by Fluxus artists such as John Cage and Nam June Paik (who were both trained composers), expanded notions of music brought new elements to the creation of visual art. 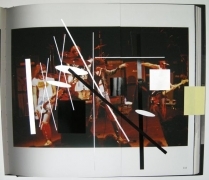 Additional influences such as rock and roll and the counterculture movement combined to create a revolutionary moment in which the boundaries of artistic disciplines were broken down. Anchoring the exhibition are two iconic works from the 1960's: Robert Morris' Box with the Sound of Its Own Making (1961), a seminal piece from early process-based art and Joseph Beuys' multiple Ja ja ja ja ja nee nee nee nee nee (1969), a stack of felt with an audio tape in its center that plays Beuys chanting the German words for "yes and no," thereby muffling the potential for discourse. Themes represented in White Noise are as diverse as the group of artists; Christian Marclay's painting, Brown Silence (The Electric Chair), 2006, takes off from Warhol's electric chair paintings by drawing a parallel between the "silence" sign over the doorway of an execution room and the "applause" sign in television studios; Louise Lawler's audio piece, Birdcalls (1972), employs the artist's voice to express conceptual musings on gender; Lucas Ajemian's and Jason Ajemian's Untitled (2006), is a video piece that rearranges the Black Sabbath's song, "Into the Void" in a musical experiment that references spirituality and the occult; and Laurie Anderson's In the House. In the Fire (2009) is a sculptural work that presents a meditation on sounds in the world around us. The wide-range of works in the exhibition are represented by a variety of media including sculpture, film, recordings, installations, photographs, paintings and works on paper by artists Lucas Ajemian and Jason Ajemian, Laurie Anderson, Ronnie Bass, Joseph Beuys, Nick Cave, Martha Colburn, Anne Collier, Moyra Davey, Tacita Dean, Simon Evans, Brendan Fowler, Rodney Graham, Chris Hanson and Hendrika Sonnenberg, Jay King and Mario Diaz de León, Jacob Kirkegaard, Jutta Koether, Jim Lambie, Louise Lawler, Christian Marclay, David Moreno, Robert Morris, Yoko Ono, Raymond Pettibon, Jack Pierson, Robin Rhode, Jamie Shovlin, Robert Smithson, Meredyth Sparks, Reena Spaulings, Emily Sundblad, and Fred Tomaselli. As part of an outdoor audio program, we will feature sound works from a 2004 group exhibition at Art in General, Rock's Role (After Ryoanji), and music by 1980s post-punk band Bush Tetras. The exhibition will feature four newly commissioned works by Nick Cave, Simon Evans, Brendan Fowler, and Fred Tomaselli. 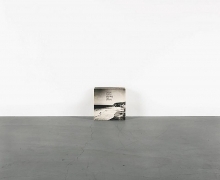 This exhibition was curated by Elyse Goldberg and co-curated by Jessica Lin Cox.